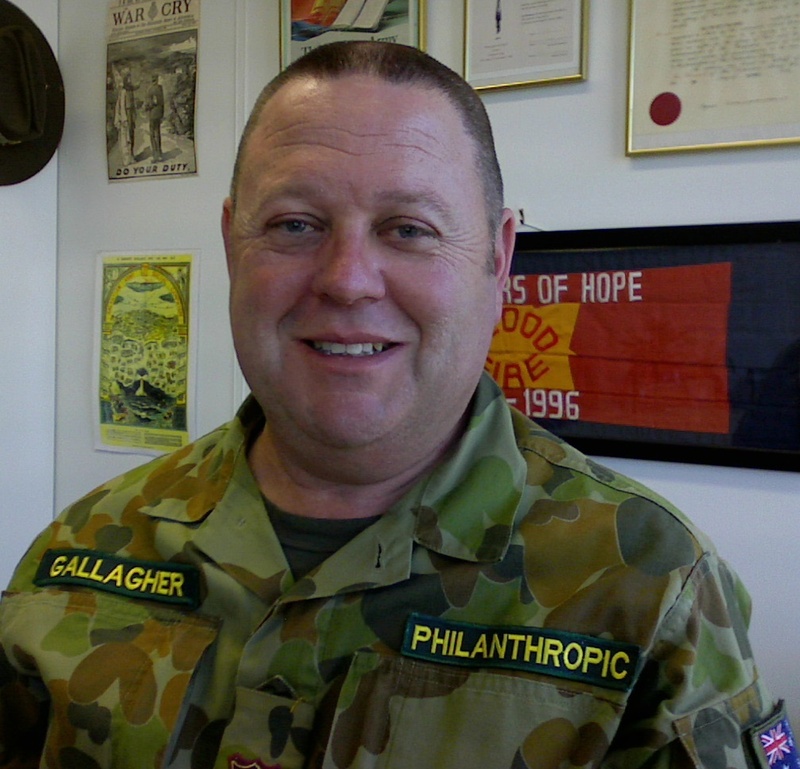 Major Brett Gallagher is chief commissioner for The Salvation Army Red Shield Defence Services, responsible for coordinating the work the Salvos do with our armed forces. How did you first become involved with The Salvation Army, and what led you into this ministry? I grew up going to a Salvation Army corps (church)—starting from about a week or so old! After attending the corps for 27 years I felt the calling to go to college and become an officer (minister). My wife and I have been officers for more than 20 years, and in that time we have filled roles that include leading corps, divisional youth work and being on staff at the training college. ministry I was interested in. Before becoming an officer I was an electrical engineer, and I worked on a submarine project for five years. So I had a knowledge of military culture and an interest in the area, and I see this role as a culmination of all these streams of interest. I lead our team of Red Shield Defence Services (RSDS) representatives across the country, helping them with their mission and ministry, as well as the administrative side of things. One week a month is spent visiting people on the ground all over Australia, getting to see what they are doing with the particular units they are sponsored by. I also meet with the military leadership of those units to see how we can enhance the services we provide. As an example, last month I was in Adelaide, joining an RSDS representative at the climbing wall his unit was using for training. We spent time speaking to soldiers, and giving them cold drinks. I also work closely with the command structure of the armed forces, talking with our defence leadership. I am invited to events such as farewell parades for groups heading overseas, and take part in other representative duties. One of my favourite parts of the role is the opportunity to share my faith story with people. Recently, I was out on training exercises and was able to talk about my faith with one of the officers in charge. How does the leadership of our armed forces respond to the work we do? Leadership is very supportive of what we do, and loves the way in which we help improve morale and the support we provide to service men and women who are struggling. They understand that this is part of our Christian response to the world, and see our desire to help those experiencing hardship and transform lives.